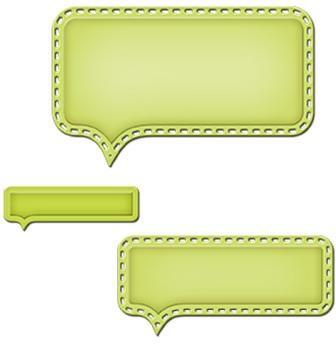 A set of three rectangular conversation bubble to add your own quotes or phrases to personalize your project. Nest or layer different sizes to create dimension and movement. 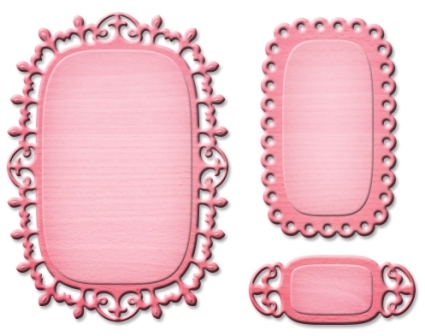 This four piece set is square in shape with beaded edges in all but the smallest die. Use these shapes vertically or horizontally. 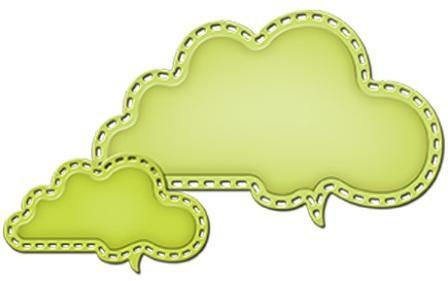 Nest together to create a framed conversation bubble for a fun effect. A set of three oval shapes adds a soft edge with its beautiful beaded detailing. 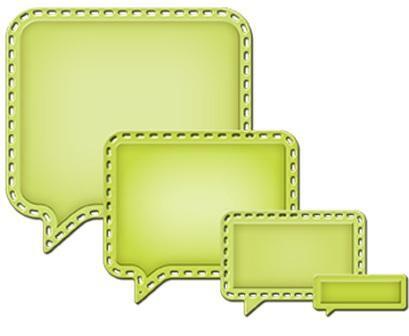 Write your own quotes or phrases to personalize your projects. Nest or layer different sizes to create dimension and movement. 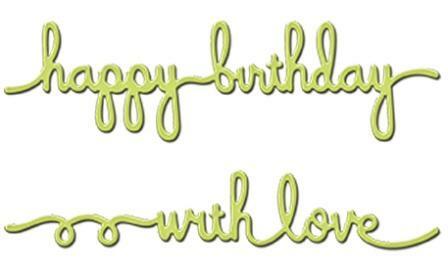 Happy Birthday and With Love in a sweet loopy font is a wonderful sentiment for a card. Add to a layout as part of a title, phrase or sub-title. Who can resist this font?! We have more sentiments to offer in Sentiment 4 and Sentiment 5. 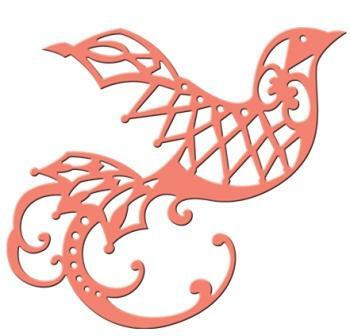 This dove is elegant in design with all of its intricate cuts and embossing designs. 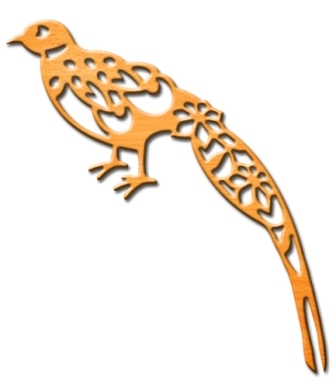 Its tail and wing feathers are created to give movement to this beautiful bird. 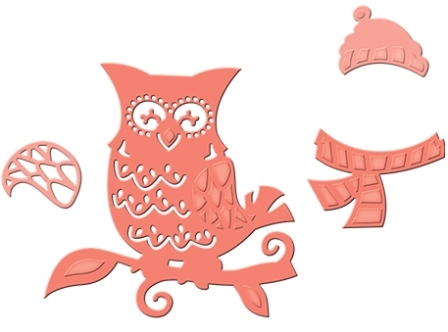 In this set of four die templates, an adorable but intricate cut owl is perched on a branch. It comes with a wing, hat and scarf to add more character! So cute and a perfect addition to any owl lovers collection. 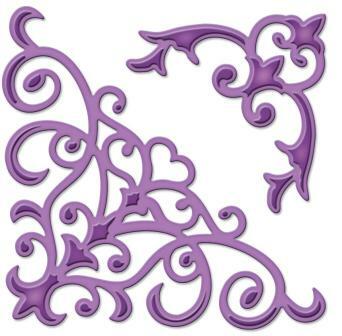 Beautiful dimensional flowers can be created with the Create-A-Flower series! 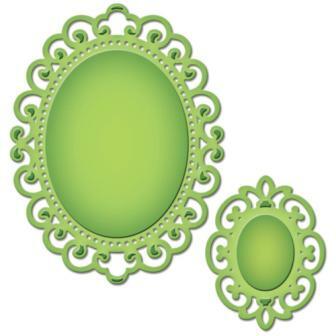 Add this evergreen set to create a wonderful backdrop to your flowers. Assemble and curl the leaves to enjoy the dimension. 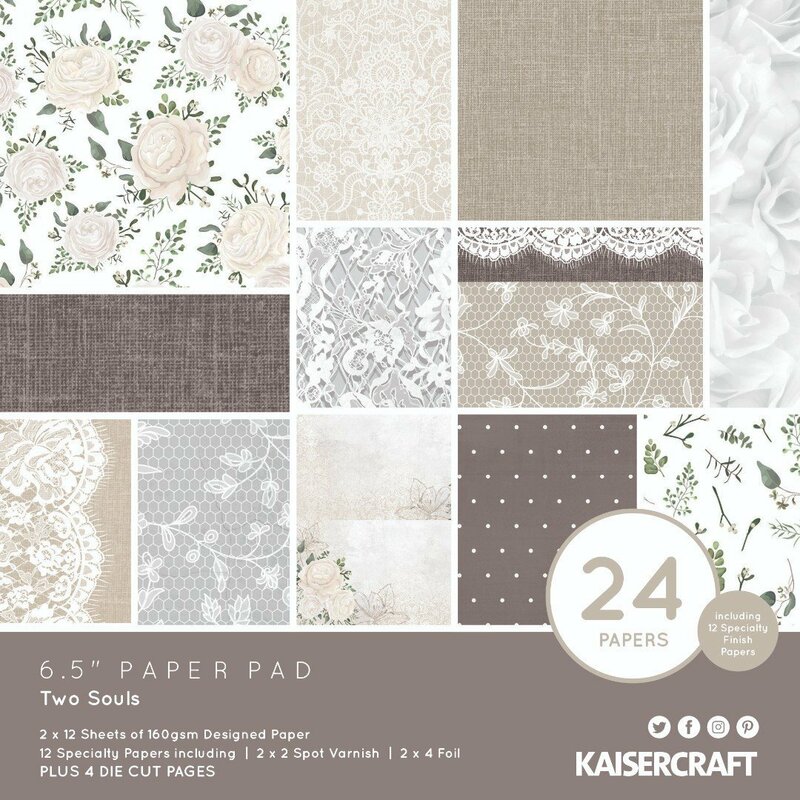 Beautiful on cards, scrapbook pages and mixed media projects. What an elegant yet whimsical side profile fairy with her wand in tow. 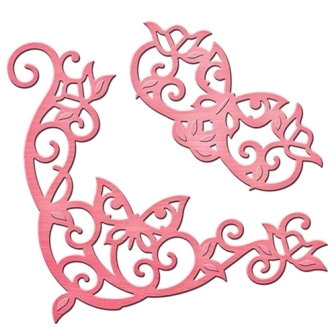 Cut and emboss with a solid colour cardstock to create a beautiful silhouette piece. 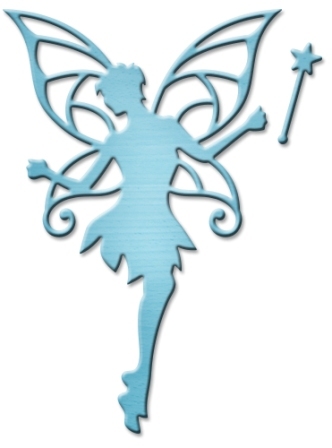 Such a whimsical silhouette of a sweet fairy and her wand in this set. 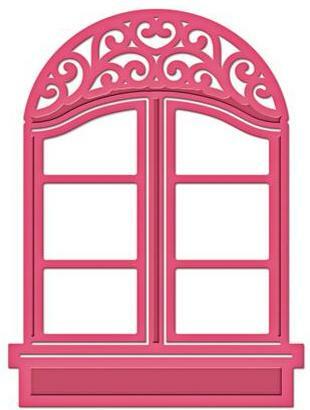 Creates the perfect accent for any little girls project. 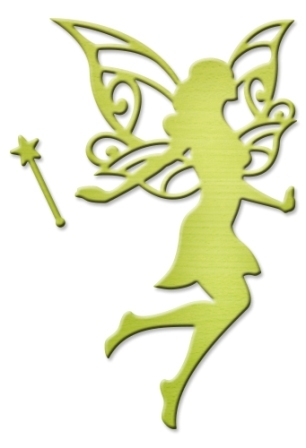 In this set of two, there is a side silhouette of a beautiful fairy and her wand. 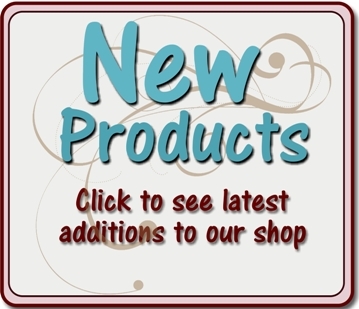 Cut and emboss with glitter or foil paper to create that WOW! accent for your projects. 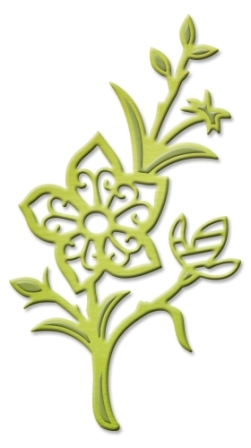 A sweet design with one big bloom framed with branches of leaves and smaller flowers. 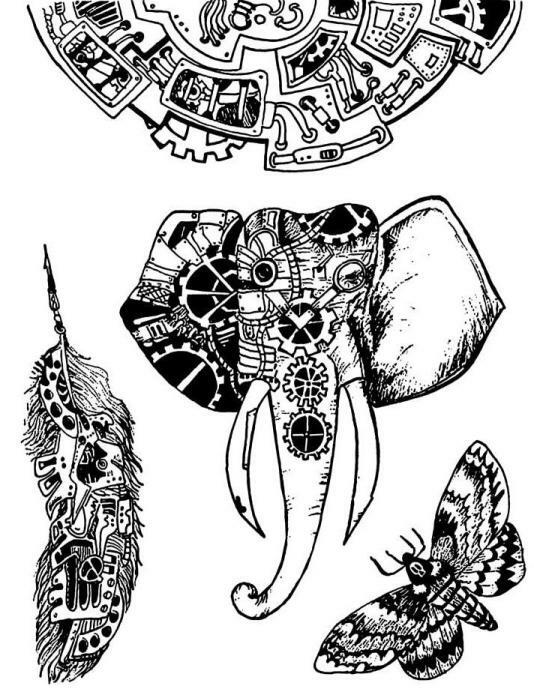 Cut apart and create many pieces to accent your projects. 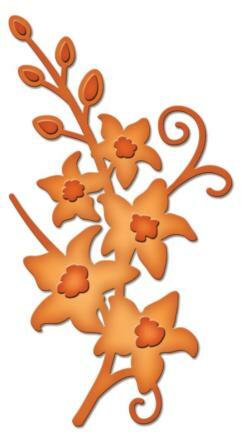 Or cut and emboss many to create a bouquet. 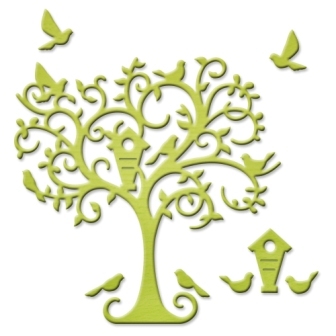 There are many detailed designs here right down to each branch, bird and even a bird house! 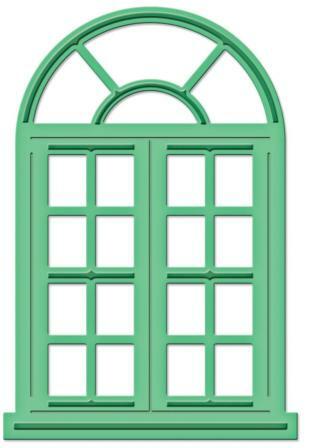 A handsome look with embossed finish on its trim and top, it is designed to have the door open for you! 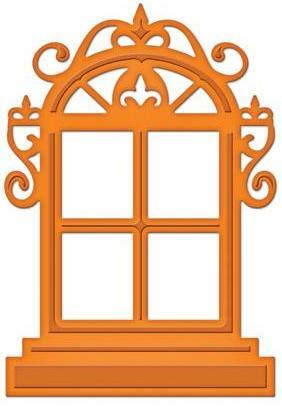 This Edwardian Door can certainly make an entrance to any project such as a mini album or scrapbook page. From its head to its tail, this beautiful creature is chalk full of wonderful detailed cuts. Embellish with gems or pearls to create that WOW accent! 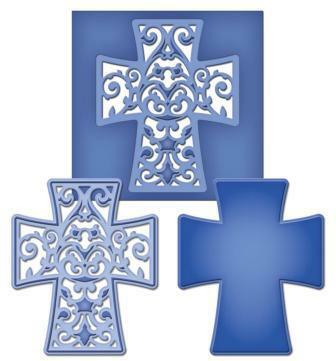 A set of two die templates, it can be used in many ways. 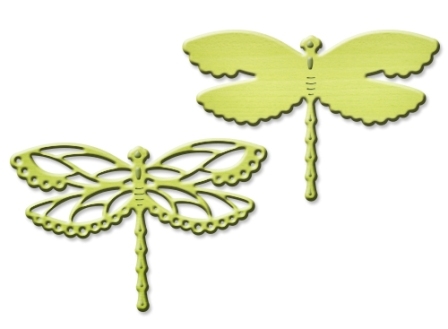 Each creates a wonderful dragonfly  a solid silhouette and an intricate design. Put them together to make a more amazing piece! 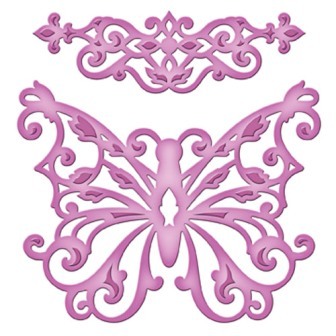 Sweet butterfly motifs can be found in this set of two die designs. 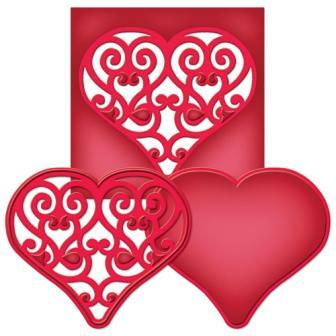 These die cuts can be layered together for a beautiful accent. A perfect addition to any butterfly lovers collection. 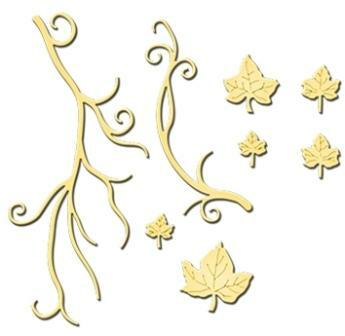 The accent piece creates a movement with its layers of flourish designs. 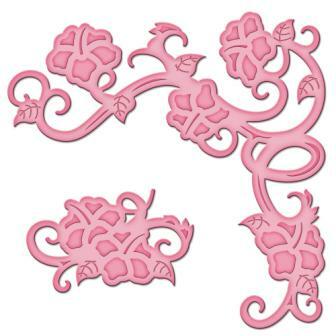 If you like this corner set, we also offer S2-097 Corners & Accents One die templates. A set of three die templates, they can be used alone or nested together for an open design and frame your photos or favourite sentiment. 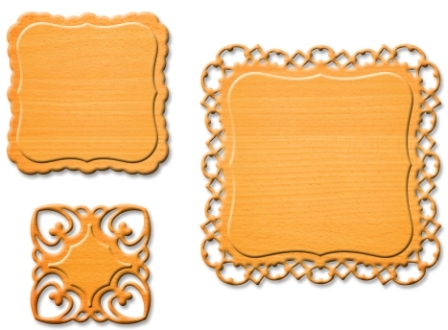 These dies can be used alone or nested together for an open design and frame your photos or favorite sentiment. 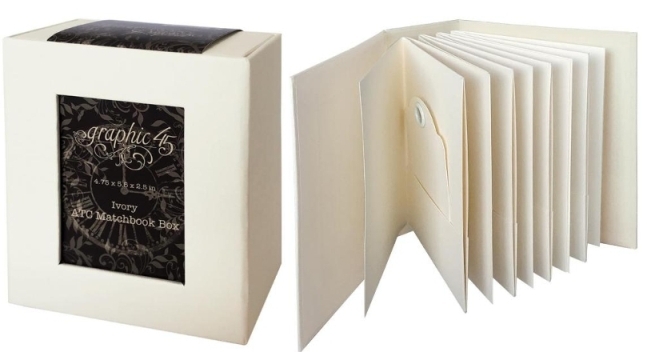 Beautiful details on its edges will make this set your favourite! 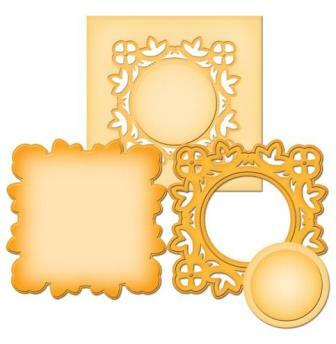 A set of three square shaped die templates can be used many ways - alone or nest together. Mat or frame out your photos or favourite sentiment. 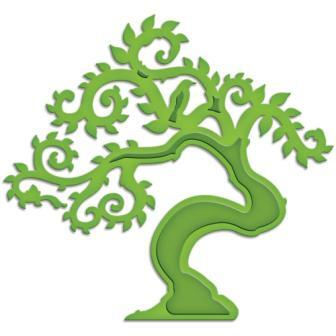 What a beautiful way to accent your garden themed project. 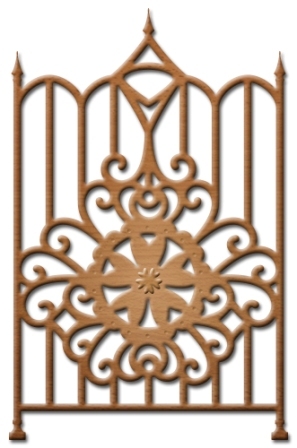 This gate has delicate lines and a magnificent center piece design of wonderful swirls surrounding a floral motif. 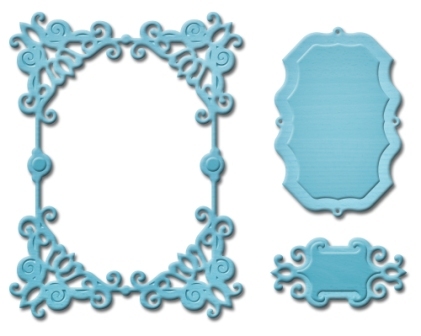 A unique oval shaped die template can be used in many ways such as part of a landscape motif or a frame for your sentiment. 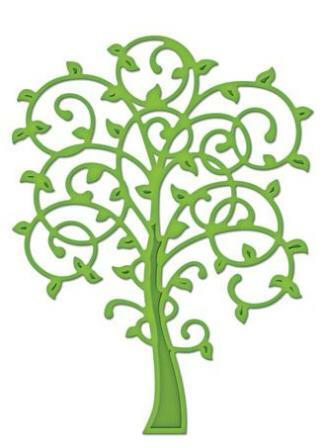 This design creates movement through its vines and flowers designs with a fun addition of a picket fence. As its namesake states, this intricate cut design is outrageously amazing! A must have for the butterfly collector. Use the pieces separately or stack them for a wonderful dimensional shape. Beautifully embossed Hibiscus blossoms against a swirly vine brings beauty in any corner of a scrapbook page, card or mixed media project. The additional blossom can be used as an accent or layered for extra dimension. Beautiful dimensional flowers can be created with the Create-A-Flower series! The Irises are stunning, delicate flowers that blossom verybriefly each year. You can capture them forever with this set. Embellish and curl the petals, assemble and enjoy the dimension. 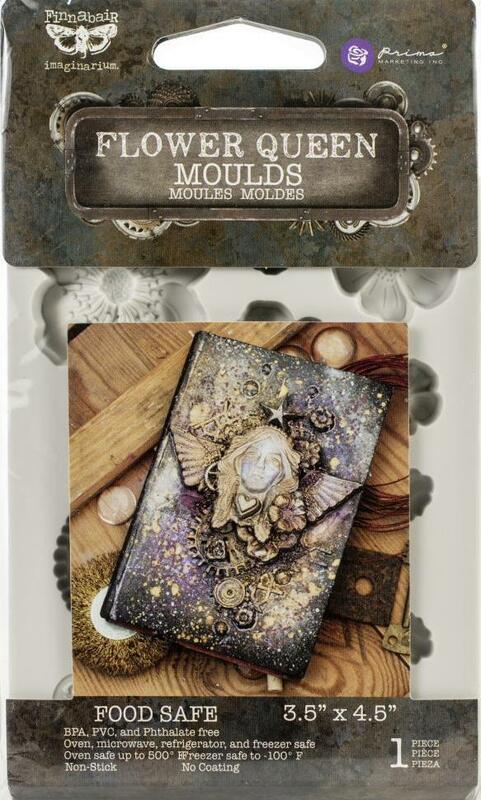 Beautiful oncards, scrapbook pages and mixed media projects. Beautiful dimensional flowers can be created with the Create-A-Flower series! A Daisy is known for its white petals and yellow center, thoughthis may vary in species. They are also known to bring happiness and cheer. Assemble the petals and enjoy the dimension. 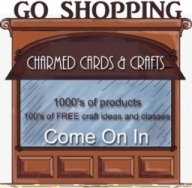 Bring cheer intoyour cards, scrapbook pages and mixed media projects. 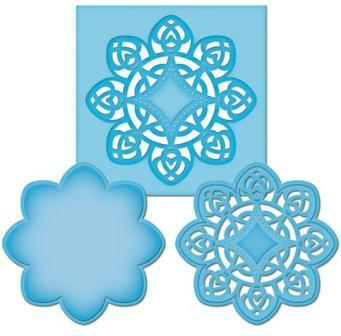 Beautiful dimensional flowers can be created with the Create-A-Flower series! This popular flower means innocence, purity and cheerfulness.Assemble the petals and enjoy the dimension. 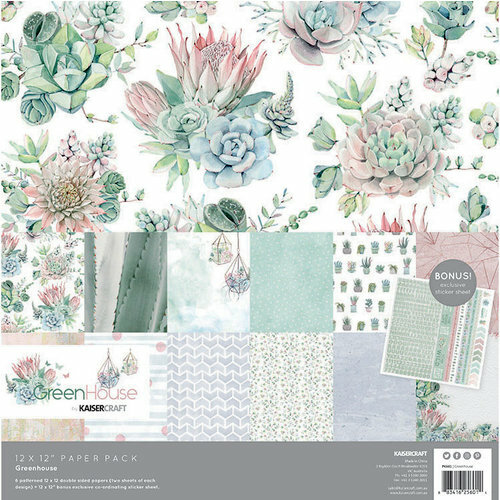 A perfect flora accent to brighten any cards, scrapbook pages and mixed media projects. 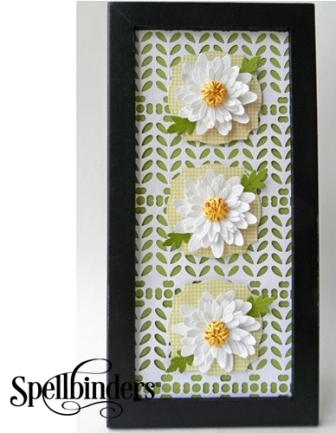 Beautiful dimensional flowers can be created with the Create-A-Flower series! 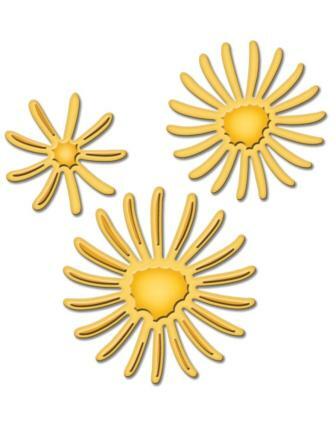 The Sunflower brightens any kind of project  so happy with its sunny yellow color.Embellish by inking the petals to highlight the embossing, assemble and enjoy the dimension. 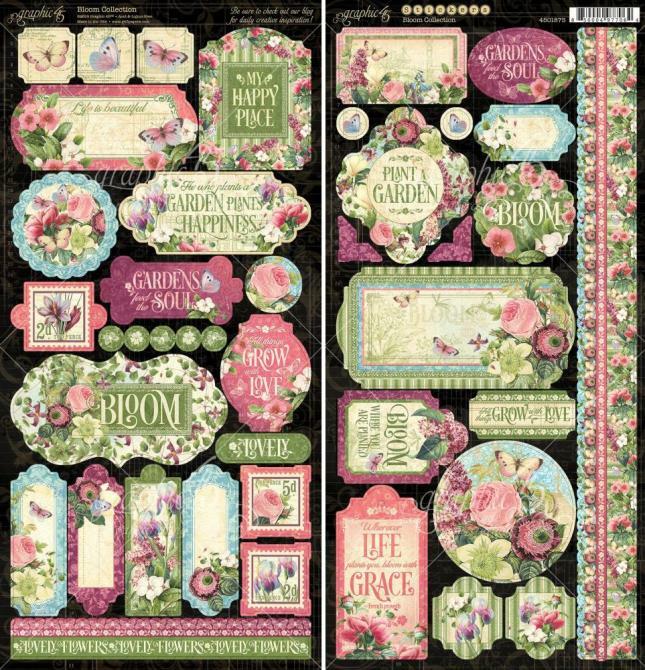 Beautiful on cards, scrapbook pages and mixed media projects. 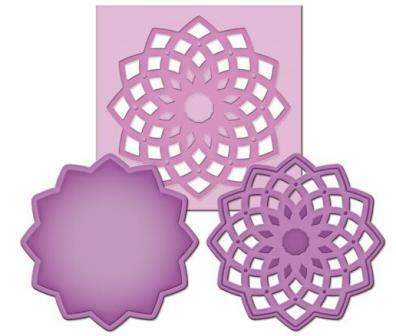 Beautiful dimensional flowers can be created with the Create-A-Flower series! The Stargazer Lily can be created with rich pink colors or apure white blossom. These flower buds opened toward the sky and thus was named Stargazer. Embellish and curl the petals, assemble and enjoythe dimension. 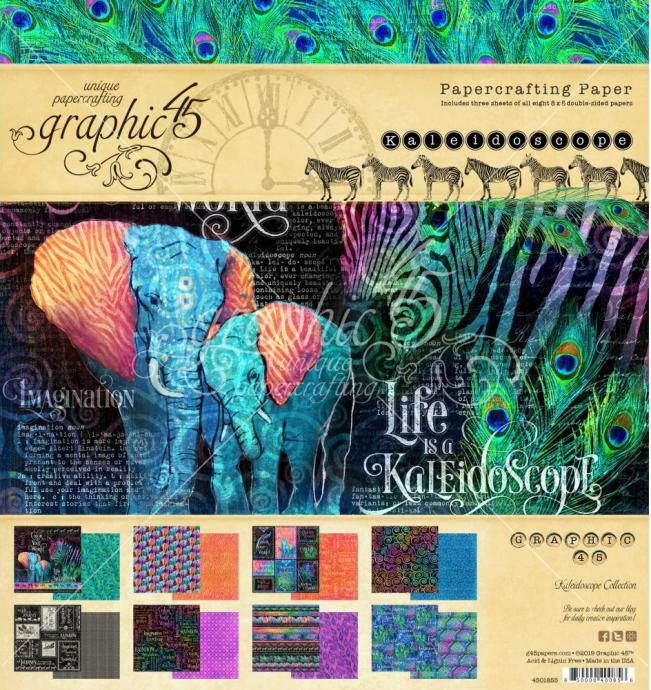 Beautiful on cards, scrapbook pages and mixed media projects. 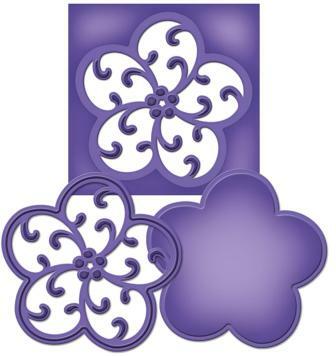 Beautiful dimensional flowers can be created with the Create-A-Flower series! Lilies have a long held role in ancient mythology, where imagesof these majestic flowers were discovered in Crete. Embellish and curl the petals, assemble and enjoy the dimension. 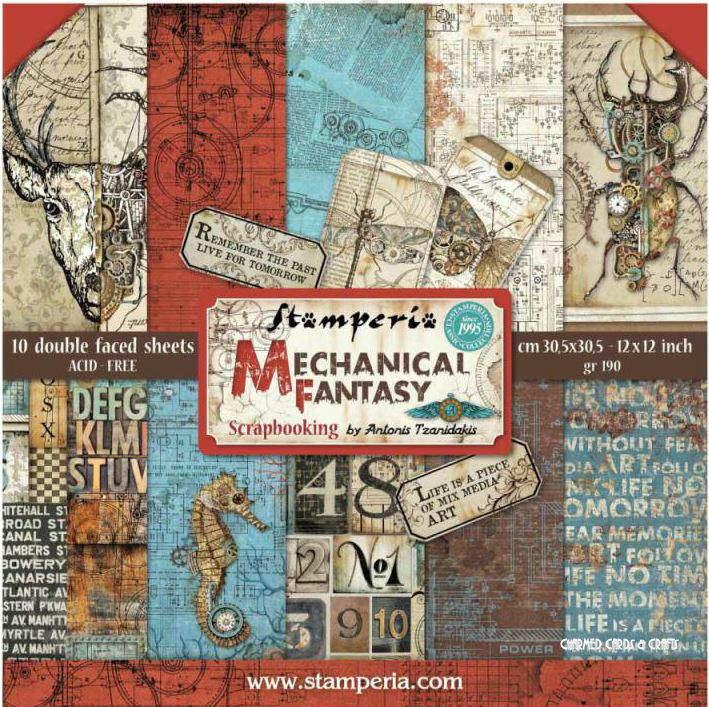 Stunning on cards,scrapbook pages and mixed media projects. Beautiful dimensional flowers can be created with the Create-A-Flower series! The Aster is a wildflower beauty with its lush texture. The name is from the Greek word star and can be found in a rainbow of colors. 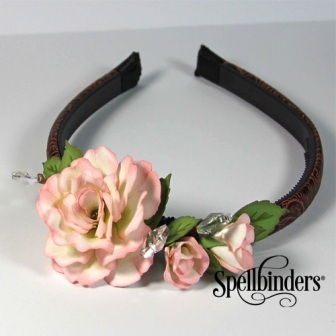 Embellish and curl the petals, assemble and enjoy the dimension. 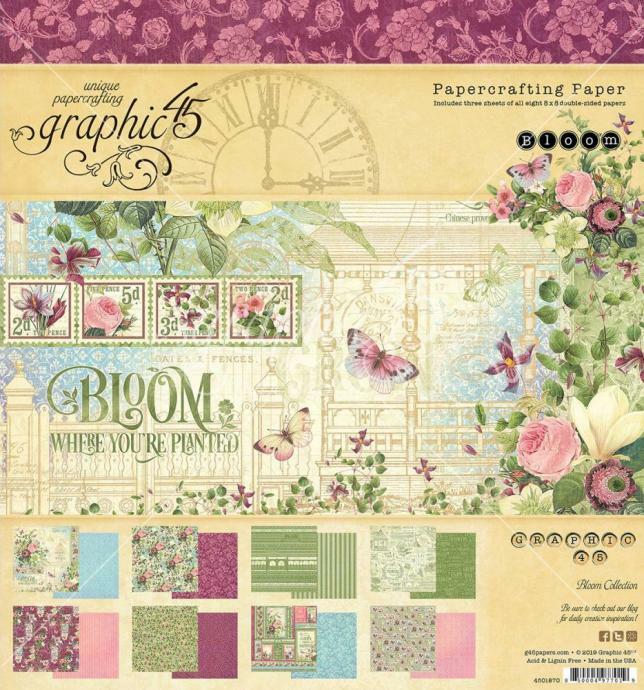 Beautiful on cards, scrapbook pages and mixed media projects. what does your color say? Assemble and curl the petals to enjoy the dimension. 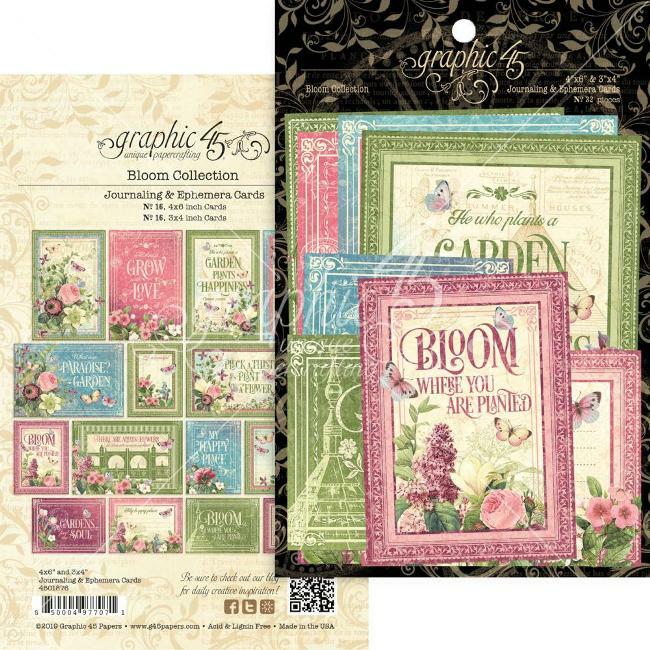 Beautiful on cards, scrapbook pages and mixedmedia projects. 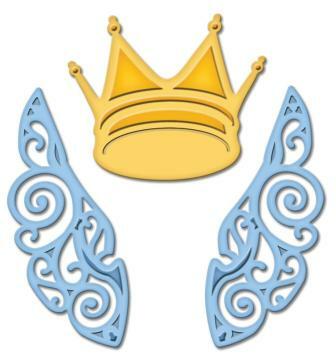 A classic crown with accompanying intricately cut left and right wings make a beautiful embellishment perfect for an ATC project and more! 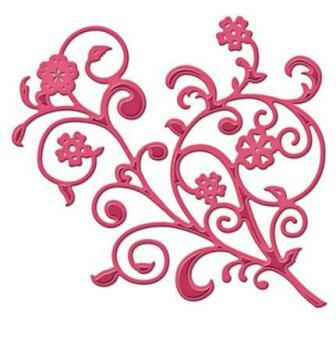 A romantic designed heart that can be used as a beautiful element to a project or an embedded design for a background or sweet accent. 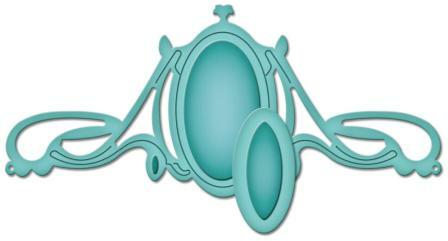 What an elegant accent piece this is with an oval insert die to be used nested or alone. 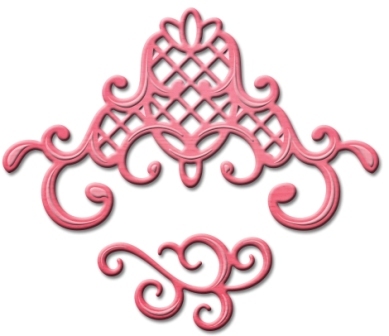 Perfect to add a letter to personalize your projects with a monogram projects. 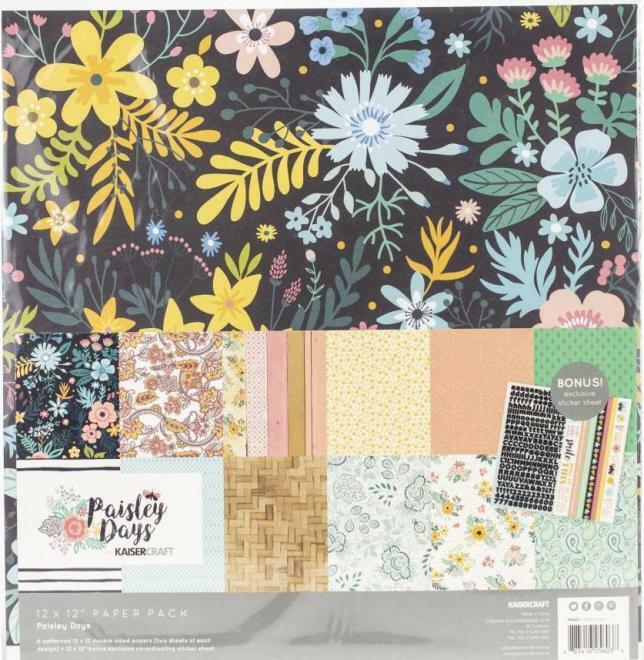 A dainty five petal flower shape that can be used as an inset design or nested with its border die to create a sweet embellishment. 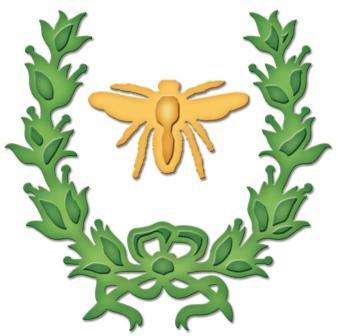 A classic combination of the laurel and bee to accent those home décor pieces and other projects. Wonderful details in the laurel wreath with a bow accented at the bottom and the bee shape with its embossing, perfect to letterpress those details! 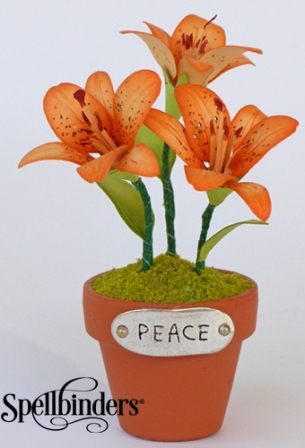 Imagine a bouquet full of Tiger Lilies or add with a combination of the other flowers die templates we offer in our Die D-Lites Line. Dont forget to put them in our Filigree Vase! 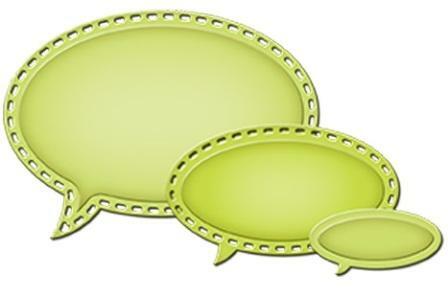 A set of two oval shaped beauties that you can use to hold pictures, words or sentiment. Mat an embellishment for a beautiful accent. Stacked together this set of three blooms would make a wonderful dimensional accent. Use them separately to create some fun flower power! 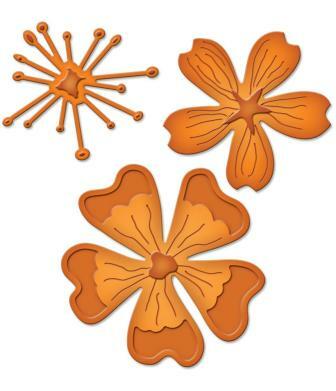 This set of three blooms includes a center and two different sizes of embossed blossoms. 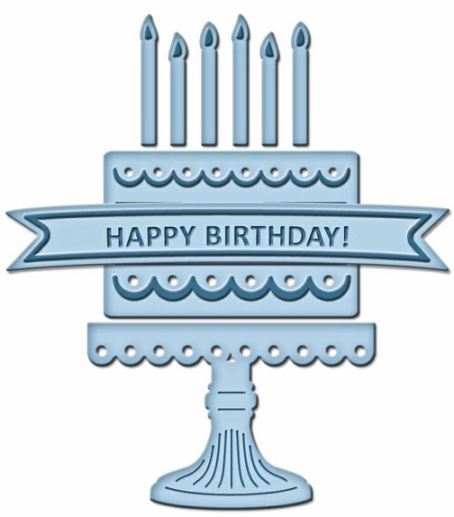 Cut and emboss with felt or foil for a fabulous effect! 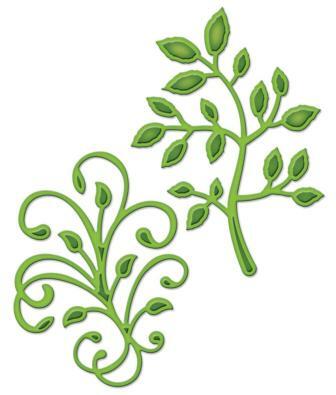 Set of two vine shapes that would be a perfect addition to any of our floral dies in the Die D-Lites Line. Create a bouquet and add them in for that WOW! factor. 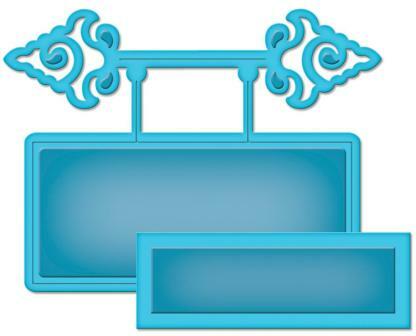 The elegant corner and accent piece would be perfect to dress up the corners of your project. 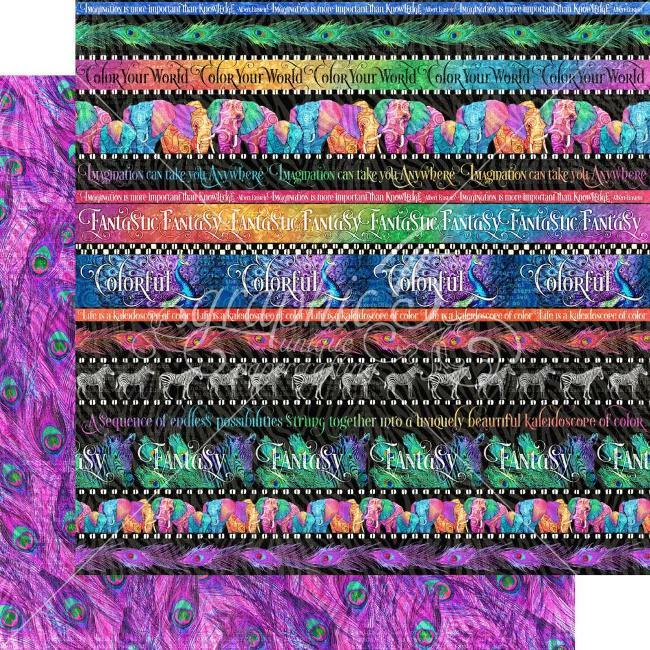 Cut four corners and put them together for a fabulous larger accent piece. 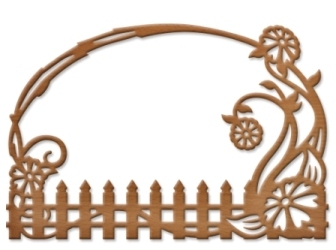 An intricate and loopy design to create a beautiful border or use as a fence to any of our gates in our Die D-Lites Line. a classic design with a half circle accent on top. 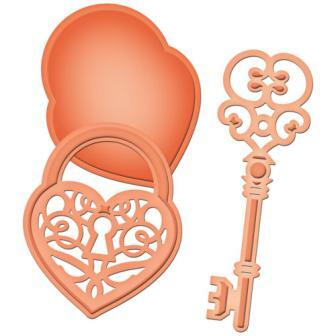 This die cut opens to give it another dimension to your projects. 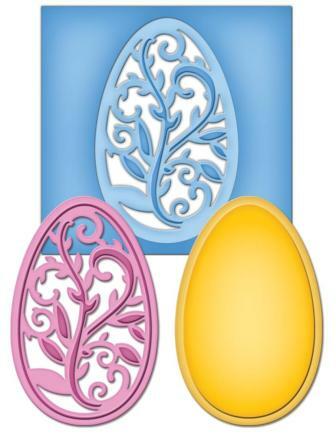 This amazingly detailed egg shape design is perfect for those upcoming Easter events. 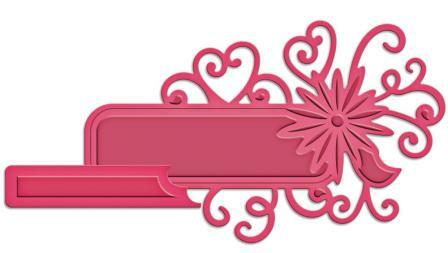 Take up it another step to create a background with its inset die. 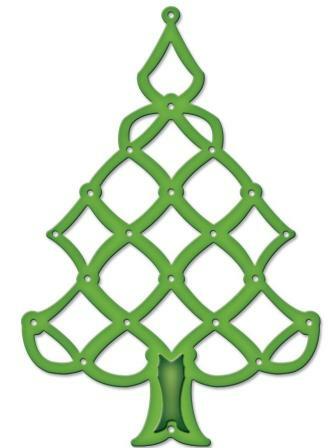 A wonderful lattice inspired tree shape waiting to be decorated with pearls, gems or glitter. What a great contemporary design for the holidays! 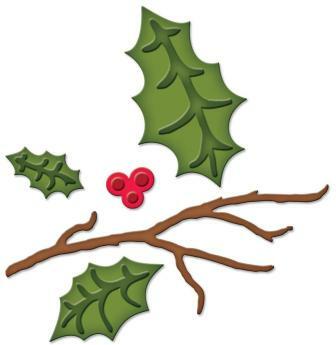 Use the three different sized leaves to layer and bend for dimension, accent them with berries cut with glitter paper and place on the twig to create your own holiday embellishment! 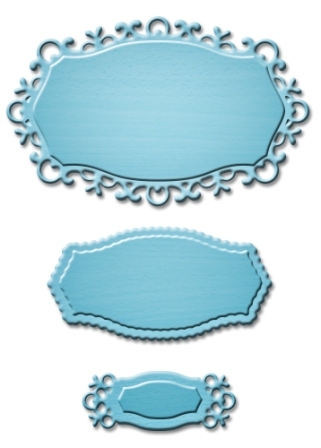 This two piece set has detailed embossing that can be letterpressed by adding ink to create a beautiful effect. 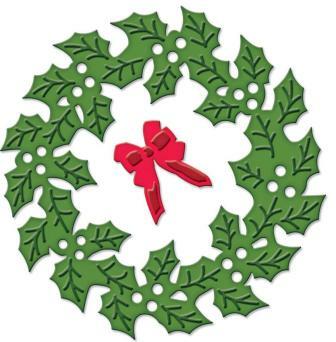 There are openings throughout the wreath for perfect placement of pearls or rhinestones. The ridges of the icicles will make you shiver! 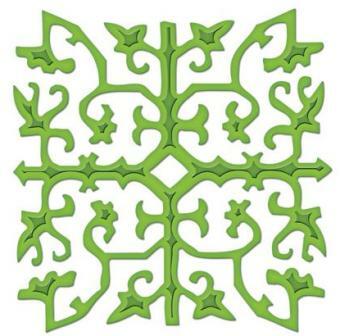 This intricate embossed and cut design is a perfect addition to your winter collection of dies. 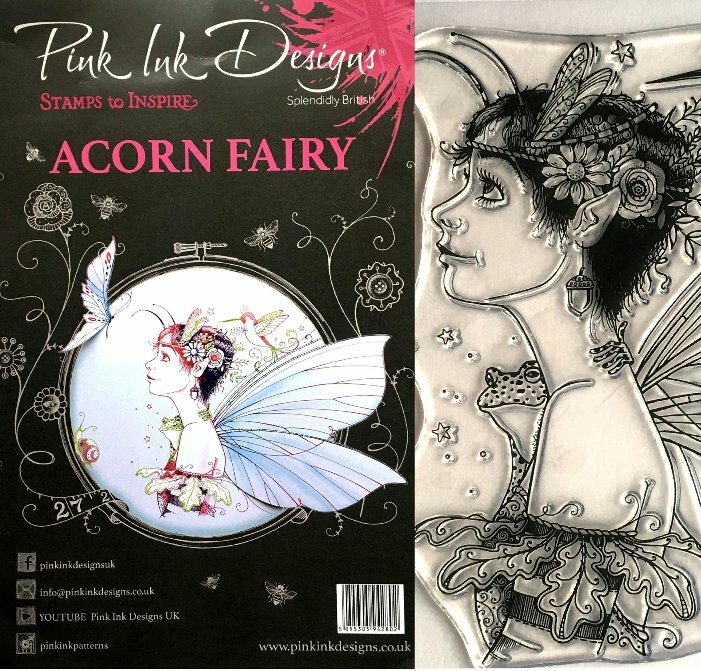 Cut and emboss with white glitter paper for realistic impact!